The Enforcement Directorate (ED) on Sunday questioned Chanda Kochhar, former MD and CEO of ICICI Bank, for the third straight day under the Prevention of Money Laundering Act (PMLA) in connection with the alleged sanctioning of loans to a few customers causing a loss to the bank. The Indian Express had first reported in April 2018 that NuPower got investments of Rs 325 crore from Firstland Holdings, owned by Kanodia – son-in-law of Essar Group co-founder Ravi Ruia. The investments from Ruia’s son-in-law’s firm into NuPower started in December 2010. Incidentally, the same month, ICICI Bank was lead banker in a consortium of Indian banks that extended a $530-million loan to Essar Steel Minnesota LLC on December 29, 2010. This loan was later classified as NPA. In 2013, Firstland sold its stake in NuPower to DH Renewables, another Mauritius-based company for Rs 325 crore without booking any profit or loss. DH Renewables, a subsidiary of Accion Diversified Strategies Fund based in Cayman Islands. Kanodia had earlier told The Indian Express that Firstland Holdings made investments in NuPower in 2010 and 2011. This investment was sold in 2013 to a private equity fund and Firstland recovered its full investment. He also said that none of the Kanodia group companies have any loans from ICICI Bank. 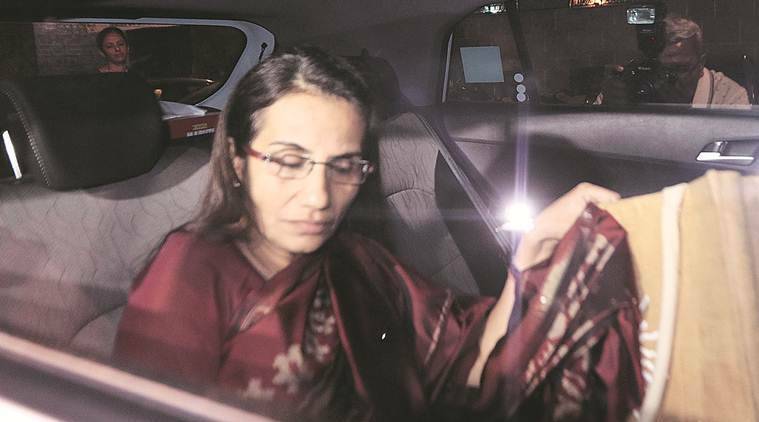 The ED had searched Kanodia’s office on March 1, along with other residential and office premises of the Kochhars and Venugopal Dhoot, promoter of Videocon Group. In May 2018, the Income Tax Department searched Matix Group and questioned Kanodia regarding investments made by Firstland Holdings in NuPower Renewables in four tranches through compulsorily convertible preference shares. The tax authority had also sent letters to Mauritius and to Cayman Islands authorities seeking more information on DH Renewables and Accion Diversified Strategies Fund, respectively. ICICI Bank and Chanda Kochhar have been under regulatory scrutiny after The Indian Express reported that Dhoot provided crores of rupees NuPower Renewables, a company that he had set up with Deepak Kochhar and two relatives six months after the Videocon Group got Rs 3,250 crore as loan from ICICI Bank in 2012. 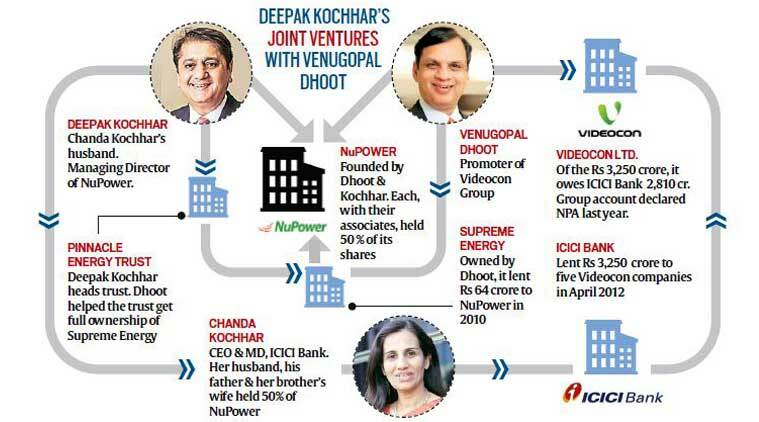 On January 22, the CBI registered an FIR against Chanda Kochhar, Deepak Kochhar, Dhoot and a few firms including Nupower Renewables and Videocon Industries for allegedly cheating ICICI Bank of Rs 1730 crore till March 2012. It also searched the offices of NuPower and Videocon in Mumbai.